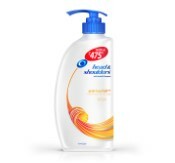 Amazon offering Head & Shoulders Anti Hairfall Shampoo 675 Ml Rs. 213 only which is worth for Rs. 450 at lowest and best price online.You can follow the below steps to buy this product at their deal price.Keep Visiting dealsheaven.in for more Best offers ,hot online deals, promo code, coupons and discount . Give your hair a perfect treatment with the Anti Hairfall shampoo from Head & Shoulders. This scented shampoo reduces hairfall by providing complete treatment to your scalp and repairing damaged hair. It offers total protection from dandruff while leaving a refreshing aroma that lasts for hours. Suitable for men and women, this anti hairfall shampoo is perfect for regular treatment of your hair and scalp. Head & Shoulders is the world's best dandruff shampoo brand and provides a wide range of products to keep your hair dandruff-free and strong.